The dome and minarets of the Blue Mosque dominate Istanbul's skyline. 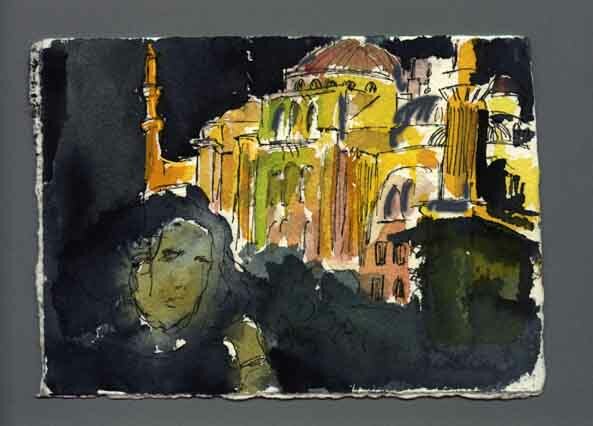 On my first evening in Istanbul, its light show captivates my imagination, as I paint by candlelight from a restaurant balcony. Loudspeakers blare the call to prayer, and the mystery of Turkey begins to unfold. “Dancing is not rising to your feet painlessly like a whirl of dust blown about by the wind.